Retirement is not the cliff-edge it once was, where people worked full-time for 40 years, then stopped working altogether, overnight. Peter Shelton, aged 70, describes himself as partially retired. Like an increasing number of pensioners, Shelton does a few days consultancy work a month which he says helps “keep the little grey cells working”. Rather than buy an annuity, Shelton has taken advantage of pension freedoms, choosing to stay invested his pension. Whilst his SIPP portfolio is professional managed, he manages his own substantial ISA, which he runs through the Selftrade platform. Unilever (ULVR) and Reckitt Benckiser Group (RB.) have been two of the core holdings within his portfolio, and have deliver solid returns in recent years. Both these companies sell a range of consumer products. Anglo-Dutch conglomerate Unilever is well known for its food brands, including Hellmann’s, Knorr and Ben & Jerry’s; as well as its soap and washing products, such as Sunsilk and Surf. The company has a four-star rating from Morningstar analysts, meaning it is trading below its fair value. Over the past five years it has delivered annualised returns of 9.9% to shareholders. Morningstar says it has a wide economic moat, thanks to the “entrenchment” of many of its premium brands in their established markets. Reckitt Benckiser operates in the consumer health and hygiene sector, and its products include Calgon, Lysol and Finish. It has a five-star rating from Morningstar analysts, meaning it is significantly undervalued. Reckitt Benckiser’s share prices has grown strongly in recent years. Its share price rose from £45.72 at the start of 2014, to a peak of £80.17 in mid-2017, although the share price has fallen back since then. Morningstar equity analysts’ current fair value estimate for the stock is £74.00. Shelton previously worked full time within financial services, and enjoys keeping track of company results, share price movements and other financial data that helps him decide when to buy or sell shares. While Unilever and Reckitt have been long-term holdings, he has traded other shares more actively. He held Royal Dutch Shell (RDSB) for a number of years, but sold out of this holding when the oil price started for fall, back in 2014. He subsequently bought back into Shell when the oil price stabilised. Shell has a four-star rating from Morningstar equity analysts, meaning it is trading below its fair value estimate of £27.50. However, Morningstar analysts say this oil giant has no economic moat, meaning it remains vulnerable to competitors. Shelton uses closed-end funds for his property allocation, preferring their structure for investing in less liquid assets. An investment trust only issues a fixed number of shares. If there is a sell-off of the underlying assets, the managers of the trust are not forced to sell assets to meet redemptions. If there are more sellers than buyers, then the price of the investment trust shares will fall, and the trust will move to a discount relative to the net asset value of the fund. 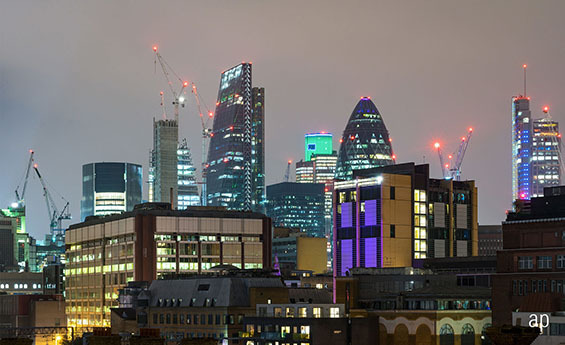 Shelton invests in a range of property investment trusts including F&C UK Real Estate Investment Trust (FCRE), which invests in UK based commercial property. This trust has delivered annualised returns of 11.32% over the past five years. He also invests in more specialist property holdings, including shares in MedicX (MXF). This investment trust invests in a portfolio of healthcare properties, including GP surgeries and clinics. Shelton points out that there have been periods of volatility in the commercial property market, but says returns depend very much on the type of property these trusts hold. For example, while retail properties in traditional high street may have struggled, those focusing on out of town shopping areas have performed better. Shelton also has international exposure through investment trusts such as Phoenix Spree Deutschland (PSDL) which invests into a wide range of residential property in German cities. Investor Views: "Brexit Hit my Investment Portfolio"